Ice cream has long been one of Luisa Santos’ favorite things. As the nitrogen-frozen ice cream trend intensified, she made her first batch during her last semester at Georgetown University. In November 2014, she also incorporated nitrogen into a business pitch, winning the Startup Hoya Challenge Rocket Pitch, along with a cash prize, just days after whipping up that first batch. That cash prize kick-started the first stage of her business. Santos sold the nitrogen-frozen ice cream outside her dorm at Georgetown, served it at events she catered there, and even hosted an ice cream stand at a local farmer’s market. That happened when Santos returned home to Miami. In a move she describes as “serendipitous,” she met up with the Florida SBDC at FIU, which gave her the expertise she needed to start a full-fledged, bricks-and-mortar nitrogen ice cream business. 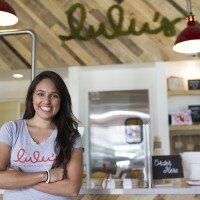 On May 31, Lulu’s Nitrogen Ice Cream opened its doors in Miami’s trendy Edgewater neighborhood. Developing the idea, creating a business plan, and securing funding wasn’t an easy process. Mentors from the FSBDC at FIU offered guidance for every question or challenge – including permitting and construction – that Lulu’s Nitrogen Ice Cream faced. 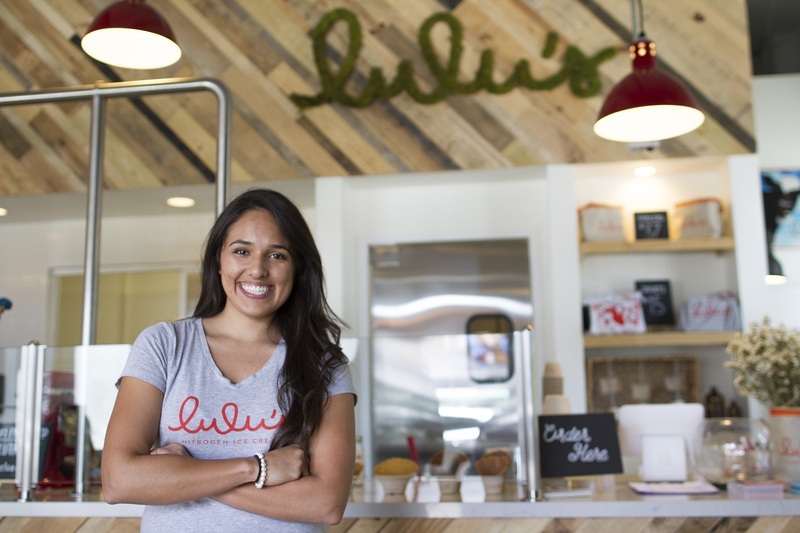 Throughout the process of launching Lulu’s Nitrogen Ice Cream, Santos worked with two FSBDC consultants – Roberto Castellon, whose expertise is in finance and growth acceleration, and FIU alumnus George Ray III (MBA ’09), who specializes in assisting start-up businesses. Today, Santos has adopted a cow, named Lulu, from Dakin Farms and makes her ice cream base from scratch, including two vegan options. Already she has developed more than 50 ice cream flavors. At its Edgewater location, Lulu’s Nitrogen Ice Cream has a steady flow of customers, many of them regulars. “Once it’s perfect, we’ll focus on growth and sharing Lulu’s with others,” Santos said. What’s next: Refining the business model and creating a community of followers. As a testament to Santos’ success, she was named the SBA 2018 Young Entrepreneur Small Business Person of the Year. "They helped me with funding, and we went over all the details of what an SBA loan entails and the information that banks expect. "